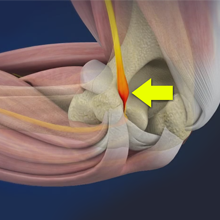 The biceps muscle is located in front of your upper arm. 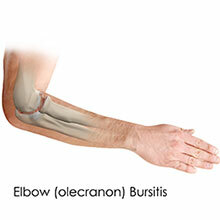 It helps in bending your elbow as well as in rotational movements of your forearm. 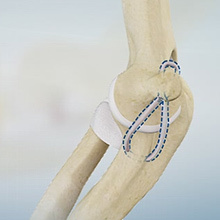 Also, it helps to maintain stability in the shoulder joint. 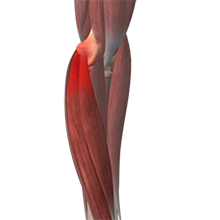 The biceps muscle has two tendons, one of which attaches it to the bone in the shoulder and the other attaches at the elbow. 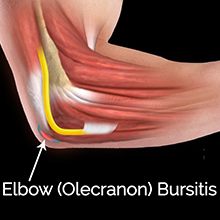 The biceps tendon at the elbow is called the distal biceps tendon and if there is a tear in this tendon, you will be unable to move your arm from the palm-down to palm-up position. 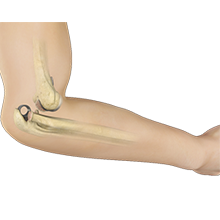 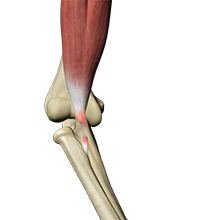 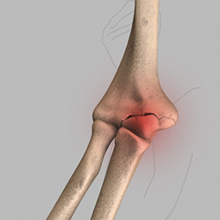 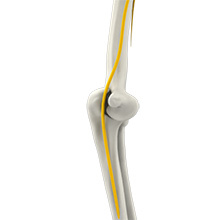 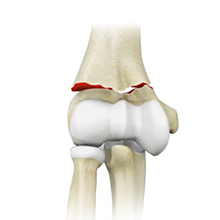 The Elbow is a complex hinge joint formed by the articulation of three bones - humerus, radius and ulna. 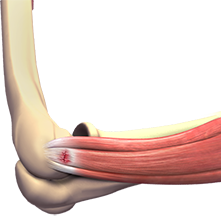 Ulnar nerve subluxation is a condition in which pain and a snapping is felt on the inside of the elbow when the arm is flexed and extended. 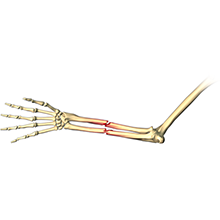 This happens as the ulnar nerve dislocates and then relocates in relation to the medial epicondyle (bony projection on the inside of the elbow). 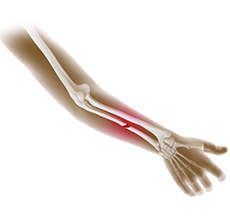 Numbness and tingling may be present and radiates to the fingers. 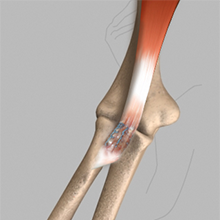 Ulnar nerve subluxation is usually treated by conservative measures. 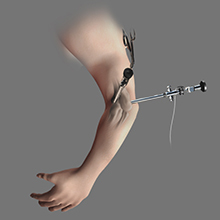 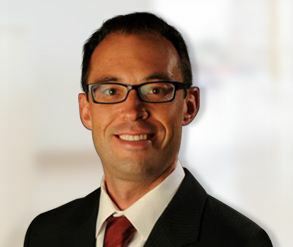 Surgery may be recommended for severe symptoms.